A series pilot that teams Development Pediatrician Dr. Joelene Huber, a specialist in Autism Spectrum Disorder (ASD) and real-life “Nanny 911” Behaviour Therapist Sarah Davis. Together they work closely with parents raising children with Autism, focusing on key communication, social skills and behaviour issues. With targeted applied behavior analysis therapies and support over a 12 week period our experts help add to a parent’s toolkit. This is an intimate look into life with ASD as we follow the successes and challenges our families face. 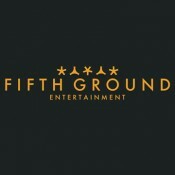 Toronto-based Fifth Ground Entertainment (FGE) is known for its award-winning television including comedy series Rent-A-Goalie, (Showcase), music documentary series The Rawside Of… (IFC), and critically lauded documentary series Reelside (The Movie Network). Currently in development FGE has a scripted political drama The Whip (CBC) and a kids science adventure series FishHeads! (TVOKids). Additionally, FGE produces digital and branded content including collaborations with Spin Master, Deloitte, BlackBerry, Yahoo! and the NHLPA.